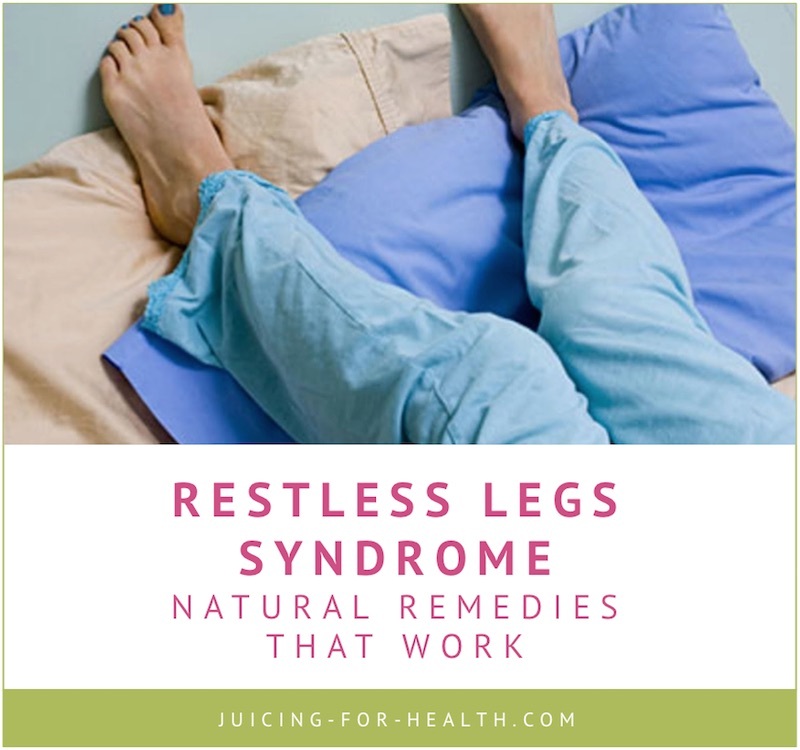 Restless Legs Syndrome Remedies That Actually Work! Calm Restless Legs Syndrome With These Remedies That Actually Work! Restless Legs Syndrome (RLS) is effectively a sleep disorder but is scientifically considered a neurological disorder characterized by a strong urge to move one’s legs in their sleep or when at rest. Nerve endings in the legs signal pain, throbbing, tingling or other sensations without external stimulation. The nerve signals trigger an uncontrollable urge of strange and unpleasant sensations in the legs, and moving them somewhat relieves these strange sensations. Although this description sounds unusual at the very least, RLS is actually quite common: studies estimate that 2.5% to 15% Americans are affected by the condition, which means that millions of people across the United States are fighting the condition right now. Fortunately, there are quite a few effective natural remedies to RLS, so keep reading! RLS doesn’t have any objective signs that you can measure with a device or check with a blood test: the diagnosis is based on a person’s reported symptoms after ruling out other possible conditions. Unpleasant sensations in the legs. RLS sufferers often describe them as “an itch you can’t scratch”, “bugs crawling over your legs”, or “a buzzing that won’t go away”. A strong urge to move the legs in any way (twitching, jerking, walking, etc.) to relieve the sensations in them. The unpleasant sensations usually worsen during rest or physical inactivity, such as when sitting, lying, or sleeping. Symptoms are better during the day and worsen in the evening and at night. Moving the legs actually relieves the sensations in them. Some RLS sufferers get up in the night and walk up and down stairs just to relieve the sensations. Continuously suffering from this can lead to lack of sleep. The degree of relief differs from one person to another. More than 55% of RLS sufferers experience daytime fatigue. They have trouble sleeping properly due to the compulsive urge to move their legs in the night. It is estimated that moderate to severe RLS leads to a 20% decrease in work productivity. People suffering from RLS are much more likely to develop panic disorder, anxiety, and major depression. So yes, restless legs syndrome can severely impair one’s life, and it’s extremely important to know what could be the potential reasons for this nuisance. Primary RLS, also known as idiopathic RLS, has no known cause. It usually starts at the age of 40 to 45 years, gets worse with age, but progresses slowly. Sometimes it may disappear on its own for months or even years, and then return unexpectedly. Primary RLS often runs in the family, in about 50% of the cases. Secondary RLS is a manifestation or complication of some other condition. This type of RLS starts suddenly, can have daily episodes from the very beginning, and usually doesn’t get worse over time. Often, secondary RLS can be linked to traumas, surgeries, and even the use of certain drugs (more details below). Anemia, especially iron deficiency anemia. People suffering from iron deficiency anemia are nine times more likely to develop RLS. Magnesium and/or folate deficiency, partly because these deficiencies also eventually lead to anemia. Varicose veins are accompanied by RLS in about 22% of all cases. There is a strong association between diabetes and RLS, especially when diabetic polyneuropathy (damage to the nerves) is present. More than half of all patients with chronic obstructive pulmonary disease (COPD) have a certain degree of restless legs syndrome. Up to 30% of people suffering from rheumatoid arthritis have RLS as well. Pregnant women are 2 to 3 times more likely to experience RLS than the general population, especially in their third trimester. As a rule, this kind of RLS subsides throughout the first 4 weeks after delivery. About 44% of people with ADHD have a certain degree of RLS. Parkinson’s disease has also been linked to restless legs syndrome. Living at high altitude is an additional independent risk factor for RLS. Phew, that was quite the rundown. Now let’s get to the optimistic part of the story: Restless legs syndrome CAN be alleviated naturally! This is imperative: go check yourself. There’s a very good chance that the RLS is caused either by anemia or a deficiency of some sort, and both reasons can be easily treated with the right dietary changes. Introduce more foods rich in iron, magnesium and folate into your diet—and just this simple tweak could actually help reduce the symptoms of restless legs. If you are deficient in iron, you are anemic. Check out this article on how you can heal anemia. The recommended dietary allowance (RDA) for iron is 8 mg for men and 18 mg for women daily (27 mg during pregnancy and 10 mg during lactation). Keep in mind that this is the recommended minimum, but there’s no upper limit: you can’t get ”too much” of dietary iron, your body will absorb as much as it needs. Supplements are a whole different story, they have a specific dosage to follow. Magnesium is a key cofactor in more than 300 enzyme-driven biochemical reactions, and a key mineral in hundreds of functions in the body. The body cannot manufacture magnesium and it must be obtained from foods and supplements. As magnesium is necessary in so many bodily functions and processes, the lack of it will easily spiral things out of control. Muscles twitching uncontrollably is one of the main symptoms of magnesium deficiency. This article may help you understand if you’re deficient and a list of foods rich in magnesium. If you’d like to supplement, I recommend Natural Calm that is great for leg cramps as wel. Using a magnesium oil spray can work almost miraculously for most RLS sufferers if you are deficient. The only way to find out is to try it. Just spray it on your legs and rub the oil into your skin using a circular motion. Administration of folic acid has been reported to alleviate the symptoms of RLS and may play a role in the treatment of primary RLS. Folic acid and folate are different forms of vitamin B9 and the terms are used interchangeably. Folate is the naturally-occuring vitamin B9, whereas folic acid is the synthetic form of vitamin B9, a.k.a. pteroylmonoglutamic acid. I always prefer to get my nutrients from foods, so in this case, folate. Eat one avocado a day that is rich in folate and magnesium. Other foods that are rich in folate are legumes, green leafy vegetables, beets, citrus fruits, nuts and seeds. If you have diabetes, do your best to control your blood sugar, as this will surely help to alleviate RLS. Essentially, Epsom salt is Magnesium sulfate—and that’s why it’s great for treating restless legs. You can either take a full-body bath with Epsom salt and Himalayan salt that supplies your body with rich minerals, or prepare a warm bath just for your feet by adding half a cup of Epsom salt to a suitable pan or bucket. Besides fixing possible deficiencies through local action, magnesium sulfate has good anti-inflammatory and muscle-relaxing properties, and both actions are perfect for RLS. Exercising three times per week can significantly improve restless legs symptoms after 12 weeks of activity, as reported by a 2006 study. A fabulous result with no medications used whatsoever! One of the best exercises you could do that will help detoxify your body and improve blood circulation is rebounding exercise. This exercise is phenomenal and doing it regularly will help you reduce symptoms that are due to the sluggishness of your lymphatic system. Varicose veins is one of the symptoms of poor lymphatic drainage. Recent studies indicate that leg massages with soothing essential oils such as lavender oil significantly improves restless legs symptoms in hemodialysis patients. Most likely, this is due to the local improvement in blood flow plus the anti-inflammatory action of the soothing oils. As you already know, RLS symptoms get worse during the night, severely impairing sleep. To combat this part of the condition, try drinking a soothing and relaxing drink before going to sleep. Some of the most effective herbal tea options include valerian, chamomile, lavender, and lemongrass. 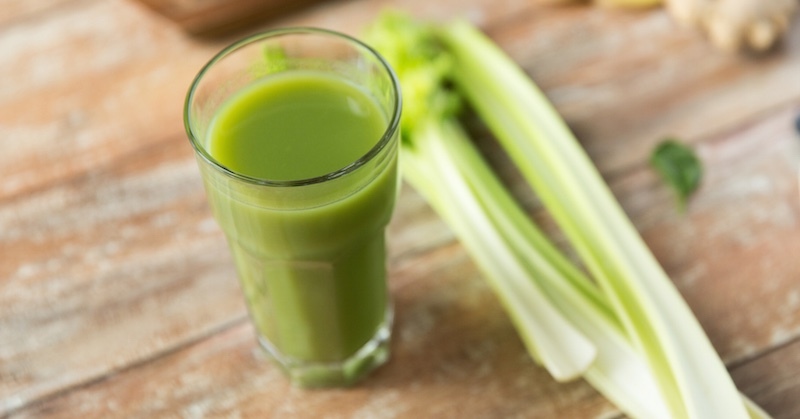 A drink of celery and cucumber juice is great for calming your nerves. Juice 6-8 ribs of celery with half a cucumber. Drink one portion of this juice every evening, at least 30 minutes before or two hours after meal. Try it for at least two weeks to see an improvement to reduced restless legs. Now, this is a strange remedy that I cannot explain. But, everywhere I looked when researching about home remedies for RLS, I come across happy people reporting that a bar of soap simply placed on the bed when they sleep, helped!! In fact, this works to stop leg cramps in the night too! Yes, any type of soap helps, but it has to be fresh as it releases its ions into the air. Every month or so, the soap will dry up and loses its effectiveness. I suggest that every time your bar of soap in the bathroom is used up, it will be a reminder for you to replace the dried up soap on your bed too. Miraculous though a bar of soap may be, I still recommend that you treat the real underlying issues that could be a deficiency or any other factors that are contributing to your RLS as discussed above. Restless legs syndrome doesn’t sound as serious or deadly as some other conditions out there, but it sure can make your life a real mess. Nevertheless, it’s important to remember that this problem can be improved by doing any of my suggestions above. Stay positive, heal naturally, and everything will be great!